Madhubala appeared in her first film at the age of 9, billed as Baby Mumtaz. 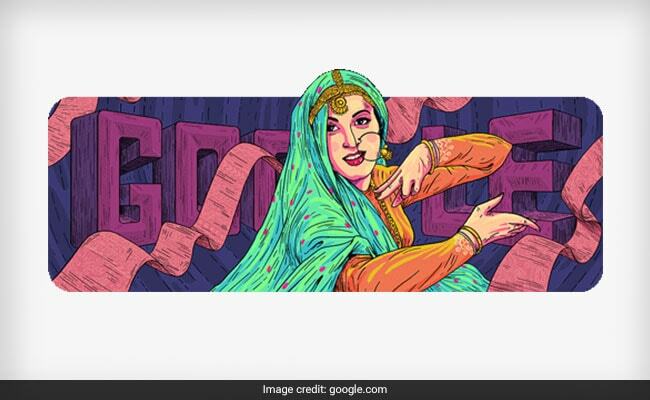 Today's Googlr doodle is a dedication to one of the most celebrated actress of Indian cinema, Madhubala. Born in Delhi on this day in 1933, Mumtaz Jehan Begum Dehlavi was raised in a town located near the Bombay Talkies film studio. Madhubala appeared in her first film at the age of 9, billed as Baby Mumtaz. In 1947 she landed the lead role in Neel Kamal at the age of 14, taking the name Madhubala. As the family's main breadwinner, she worked tirelessly to support her parents and four sisters. While her breathtaking appearance earned comparisons to Venus, Madhubala was a gifted actor with an understated style well suited for comedies, dramas, and romantic roles alike. She fell in love with Dilip Kumar, her costar in the 1951 romance Tarana, but her father, who managed her career, interfered. The actors' chemistry in the epic historical drama Mughal-e-Azam-one of the most popular and expensive movies in Bollywood history-was undeniable and unforgettable. Appearing in over 70 films over the course of a tragically brief career, Madhubala- who would have turned 86 today-was called "The Biggest Star in the World" in 1952 by Theatre Arts magazine. In 2008 she appeared on a commemorative postage stamp in India, where she is remembered by many as one of the greatest to ever grace the silver screen. Madhubala's life and career was cut short when she died on 23 February 1969 from a prolonged illness at the age of 36. Her film Chalak opposite Raj Kapoor was supposed to be released in 1966 as it needed a short spell of shooting, however, she couldn't even survive that strength and therefore, the film was left incomplete even at the time of her death.